Disturbed have always been a divisive band, one with just as many supporters as haters, and remarkably over the course of the last 18 years that feeling hasn’t really dissipated. It came as a massive surprise to the world then when they scores a huge global with with their cover of The Sound of Silence, suddenly the world couldn’t get enough Disturbed and everyone was waiting to see what they would do next. The band’s 7th album Evolution is the answer to that very question, but after one listen you can be forgiven for thinking that the question should never have been answered. Evolution is one of the most disappointing albums of the year and a serious fall from grace from a band that has been routinely consistent for the better part of two decades. Only time will tell whether its down to poor judgement or a band that has lost touch with who they are. This is an album that is tonally all over the place, devoid of anything original to say and sounds like a band facing a serious identity crisis. There are two major gears that Evolution operates within, the first being mid tempo rock and the second syrupy melancholic balladry and over the space of the albums’ ten tracks it’s almost an even split. Evolution starts promisingly enough with the arena ready anthem Are You Ready? which is the archetypical Disturbed rallying cry. With a bouncy, chuggy riff, and a big chorus it draws the listener in from the off before quickly chucking them off a cliff and the rest of the album follows suit. One of the biggest issues with Evolution is the pacing, it never really gets going, because it keeps changing from song to song. 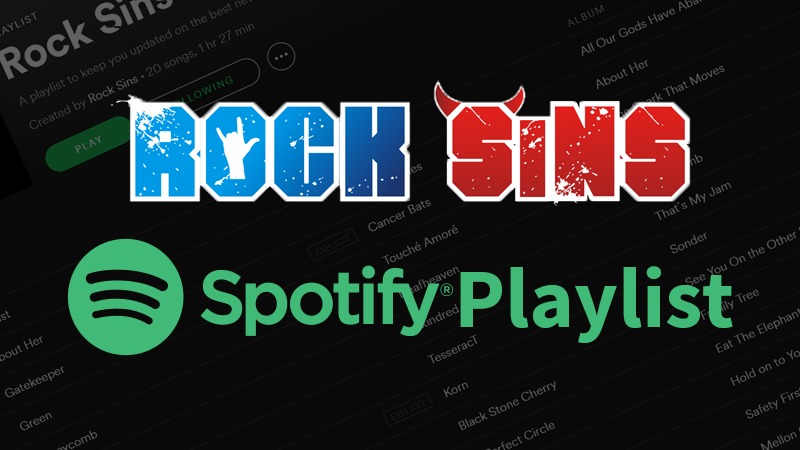 Stronger On Your Own and Saviour of Nothing threaten to pick up the pace with some good riffs and a bit of bite. Even with that in mind they still ultimately fall flat due to lack of variety (they are basically the same song) and a heavy-handed production job that robs them of anything remotely interesting. The rest of the album falls into slow stripped down acoustic territory. A Reason to Fight sounds exactly the same as the bands cover of The Sound of Silence, like they tried to write their own original version of a song they covered. its a little too serious and looks to reach out to the newer fans they pulled in through the last album and with their now very famous cover. They are indicative of the larger problem with Evolution as a whole. This doesn’t feel like a Disturbed album or even one that was written by a real band with real things to say. This sounds like an album that was written by committee to fill certain quotas and appeal to as many demographics as possible, like the record company saw the numbers they pulled in from the Sound of Silence and then decided they want an album full of that, and it really shows. At its best it is uninspired and at its worst it is the most vapid and shallow cynical cash grab attempt you could imagine. 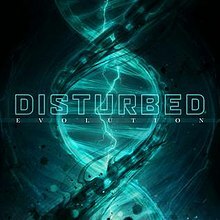 Say what you will about Disturbed and whether you love or hate them they have always come across as authentic and have written music on their terms and while it may not have been for everyone at least it was genuine. Here Disturbed have foregone what brought them to the table in the first in search of something bigger, and it hasn’t worked out for them. This isn’t so much an evolution as it is a huge regression. Where Disturbed goes from here is anybody’s guess. Evolution is out now on Reprise Records.